With full home additions costing $75,000 minimum and usually far higher, many homeowners search for creative ways to increase living space without overly decreasing their bank account. 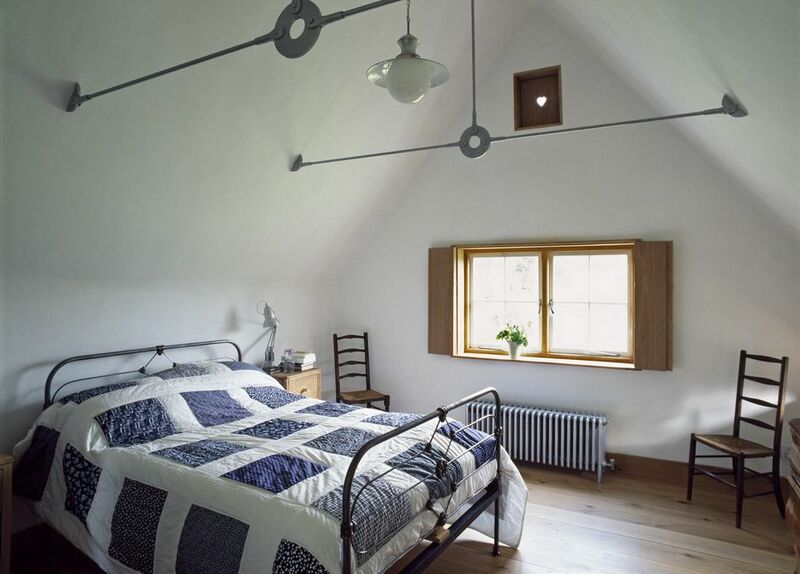 One way is by working within the home's existing footprint and converting the attic into living space. Like basement remodels, attic conversions have restrictions that make them less attractive for remodeling as they might first appear. Fire as a cause of injury and death is the main reason for these restrictions. The United States Fire Administration estimates that in just a two year period, from 2006 to 2008, close to 10,000 residential attic fires occurred, resulting in nearly half a billion dollars worth of damage. Most fires were caused by sparks from electrical arcing. However, if you can clear building and electrical code hurdles, attic conversions are a good way to increase space without spending a lot of money. Space regulations are often a deal-breaker for many homeowners. To satisfy building code, you need to have enough space--and the right kind of space--to meet these following regulations. Many older homes simply do not have the right types of attics to construe this space. Required: 70 square feet minimum of floor space. Reason: To provide for adequately sized living quarters. Required: At least 7 feet in any direction. In one scenario, this would translate to a bare minimum of 7' x 10'. Reason: To prevent homeowners from building strangely-configured and potentially dangerous spaces. As an example, a floor space that totals 70 sq. ft. would still not be allowed because its 4' x 17.5' dimensions. Required: At least 50% of the usable floor space should have a ceiling height of 7.5 ft. or more. Reason: To prevent homeowners from creating living space that does not allow occupants to stand up. Another factor that determines whether you can convert your attic is the presence of roof rafters vs. roof trusses. Traditional rafters look like triangles; trusses look like triangles with smaller triangles inside of them (the boards forming these small triangles are called chords and webs). Trusses are considered a superior method of framing a roof because of the additional support. Ironically, though, it's the rafters that provide a better environment for an attic conversion because of the clear space. If you have trusses, it will be next-to-impossible to reconfigure them to allow for clear space. You'll be better off looking for other areas in your house to expand. Your attic floor was probably built with dead loads in mind. Dead loads are things that do not move: boxes, trunks, suitcases, etc. Live loads are people and animals, and tangentially, the things used by people. In rare cases, especially in new-construction homes, the attic may have been built unfinished, with the correct flooring in place, with the idea that the homeowner could later on finish the space. In most cases, though, the joists cannot support live loads and may not even be covered with boards. You might open up your attic and find bare joists with fiberglass or cellulose insulation between the joists. Fortunately, this is a fairly easy fix. You can sister the joists by cutting 2'x8' boards the same length as the joists, applying construction adhesive, and affixing each to a joist with nails. Then, after running any needed electrical wires or plumbing pipes, you will lay down 1/2" A/C-graded plywood subfloor. Your attic may presently have a fixed ladder, a pull-down ladder, or no ladder at all. What your attic probably does not have is a set of code-compliant stairs. Provide a minimum of 6'8" of headroom the entire walking length of the stairs. Be at least 36" wide. Have treads of at least 10" deep. Have risers that are at least 7 1/4" high. Attics are the worst place to be in a fire, because heat and fire rise--rapidly. Since the staircase to the attic can act as a chimney for the fire to quickly spread, it's necessary to have a secondary point of egress, or exit. In most codes, this means an opening (not fixed) window to the outside. If you plan to install a dormer in your attic conversion, this will automatically take care of the egress requirement, as most dormers include a window.